Amos Lee & Lake Street Dive are coming to Stage AE on Friday 28th July 2017 – for a night that you won't forget! 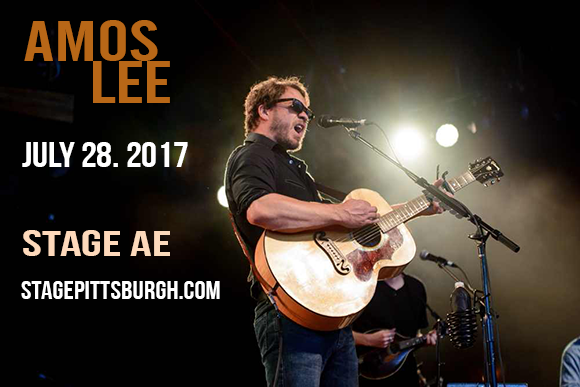 Headliner, Amos Lee is a true singer/songwriter who combines all of the best elements of Folk, Soul and Rock to give a whole new meaning to on the road musician. Starting off as a support act for so many incredible artists such as; Norah Jones, Paul Simon and Elvis Costello… Amos Lee now hits the road to showcase himself as a solo performer in his own right! Book your tickets to catch all of the action! On for support is the energetic group, Lake Street Dive! Hailing from Boston, these guys are living proof that you can make vintage music sound modern. Their feel good anthems take influence from all of the greats, crossing over genre's from Jazz, Southern Rock, Indie, Pop and plenty of Soul! They are also known for giving covers a whole new life, their renditions have included songs such as Michael Jackson's, "I Want You Back," as well as "Rich Girl" from the legendary Hall & Oates.